A year has passed since we’ve last spoken. 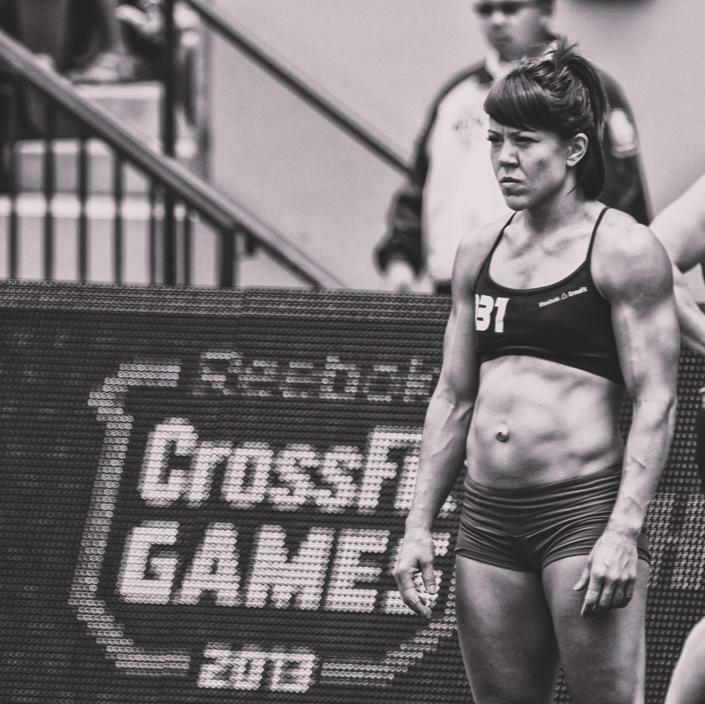 How did the 2015 CrossFit season go for you? A lot has changed in the past year. I definitely got a new perspective. I was second in the region in 2014, and seventh in 2015. The whole experience, coming out of Regionals, and watching the 2015 Games as a spectator—there were moments that were heart-wrenching. There was a lot of frustration and disappointment. But, as I processed the whole season, I understood that I had a lot of ups and downs that year and when I was honest with myself, I knew I didn’t feel as emotionally prepared as I should’ve been for 2015 Regionals. It was bittersweet, but I also appreciate getting older and having the life experience. I feel that there is a season for everything, and I feel like I’ve come full circle. I’ve reached a place where it is okay to step back from being in the limelight and being at the very top of my game. I want to go ahead and enjoy training and loosen up a bit. I look forward to enjoying my family life and all the other things you have to put on hold when you have big goals like that. After the 2015 season, I had to come to terms with finding a new balance and a new identity. So about that new balance and new identity: What’s your goal/vision for the gymnastics clinics that you’ll be conducting? Over these six years of being a CrossFit athlete, along with my background of growing up in gymnastics and being a specialist—all these years of training—I feel I really have a lot to share and give back to the community. Coaching is something that absolutely fulfills me—being able to teach someone and offer information and perspective that these athletes might not have had access to before… it’s just different. When you’re competing as an individual, it sometimes feels selfish. I’m excited to turn that energy to other people and to make it about their journeys. Are these clinics going to be primarily in Utah or are you going to travel? I would love to travel! Hopefully, it’ll be big enough that I can eventually go out of country. That’s another one of my passions—being able to get out and see more of the world. Right now, the focus is close to home, but I am open to and available for traveling, for sure. What will the curriculum for these clinics look like? Generally speaking, I like to get back to the basics. I think there’s a big misunderstanding about how to be efficient with the gymnastics kips. I like to start back at the pull-ups, then butterfly pull-ups, and build towards the muscle-up. 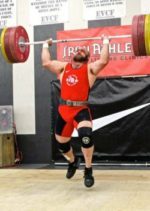 Even if you have a foundation in these movements, it’s a different experience to have a one-on-one coach who can talk you through the “why” of these positions, why it’s important to maintain technique, and how to accommodate specific mobility restrictions or physical weaknesses. I find out more about the needs of each particular athlete as we break down the kip, and as we go through how to develop gymnastics strength, how to be efficient on butterfly pull-ups, how to transition efficiently from below the rings to the top of the rings, etc. That’s the general format, but I really like to talk to the box owners and ask them what their members really need. I also like covering handstands and handwalking as well as glide kips—even though we don’t see them in competition, they’re a great accessory for bar muscle-ups. If I don’t hear anything from the owners, a lot of the focus is on technique for the kip, pulling, and developing the muscle-up itself. About the muscle-up. Do you think there’s a specific strength requirement that a trainee should meet prior to training the muscle-up? Before they start working, no, but as far as expectations go—yes. They need to understand where they need to be in order to achieve that skill. You definitely have to have a certain amount of strength to complete a muscle-up, but not to start working on one. 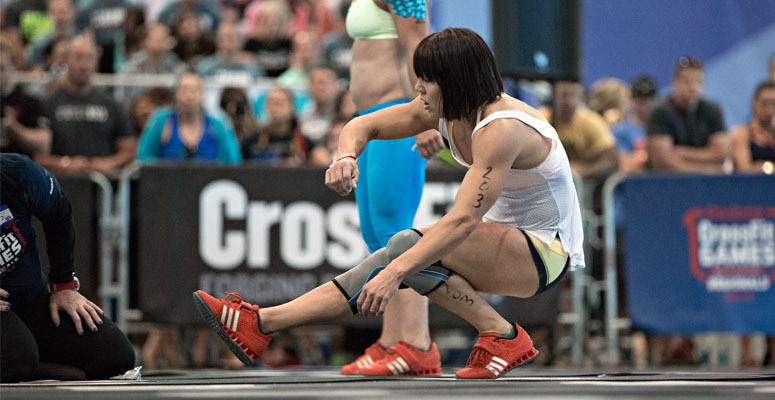 It’s CrossFit, and we can scale for everyone. I’ve had plenty of beginners come to my clinic who have benefitted just as much, if not more, from these clinics. A lot of times they won’t have bad habits established yet and we can build from the foundation up. There’s plenty of accessory and skill work that they can work on as they progress towards a muscle-up. The thing that I struggle with most in gymnastics is the amount of patience it takes—kind of like Olympic weightlifting, the gains are incremental. Even worse than weightlifting, with gymnastics, you can’t measure your gains with pounds on the bar. Do you have any advice for how to track progress in your gymnastics training and how to stay motivated? Yeah, I really appreciate that question. I think you need to have a very specific goal. Within gymnastics, it is more difficult. 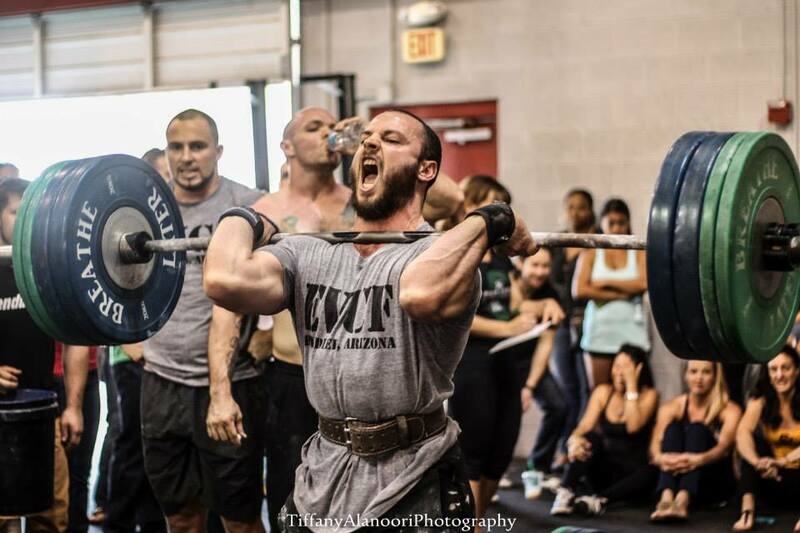 It’s not as obvious as weightlifting where you see the weight go up on the bar. I tell my students that you really have to respect this process—that professional gymnasts put in hundreds of thousands of hours over the years reviewing and breaking down these skills. My coaches used to tell me that it’s a numbers game. We don’t know if you’ll hit the movement on the 780th attempt or the two thousandth, but if you’re not putting in consistent work and effort, then you’re going to miss that progress. I would say that it is instrumental to find a program that works for you and then commit to it. Don’t switch programs until you’ve been on it for at least a few months. Gymnastics requires a lot more commitment than people are giving it right now. It needs to be touched every single day—consistently maintained. It’s developed through those subtle differences that happen with daily practice. Set your goals, find a program that’s very gymnastics-specific and use it either as accessory work (after your work out) – or, depending on your motivation/ambition, you can give yourself over to that specifically and use it as your primary training. Find a way to challenge yourself consistently. You need to keep enjoying the process. How do people go to find you? The Iron Athlete webpage will be the best way to get in touch with me. That’s where you should go to book a clinic, and we’ll be able to answer any questions that you have through the contact info there as well. I’ll also be available on Facebook.